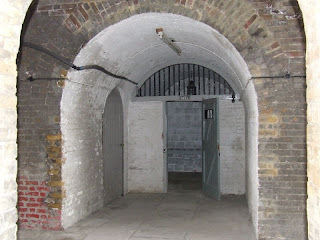 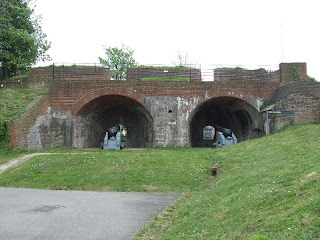 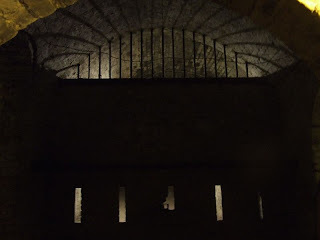 Fort Amherst is the name given to an area of Chatham's fortified lines incorporating a number of gun batteries and barrack accommodation areas. 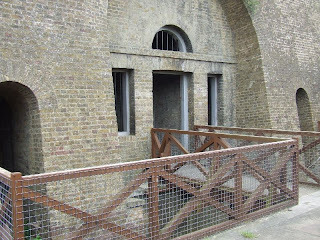 It was originally known as Amherst Redoubt, an occupies the Southern end of the Brompton Lines, later known as the Cumberland Lines. 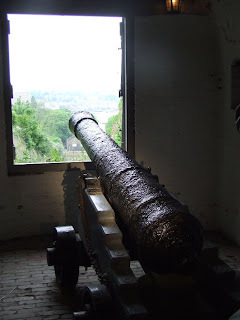 Construction of the the fortified lines on the hills above Chatham began in the mid half of the 18th Century, to defend the important Naval Dockyard below. 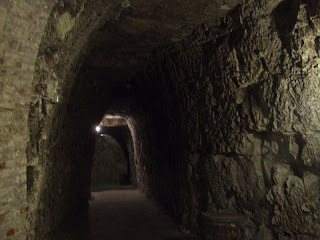 During the Napoleonic Wars the area was strengthened with new batteries, a tunnel system and barracks, as well as forts Pitt and Clarence being constructed nearby. 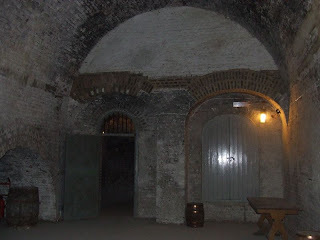 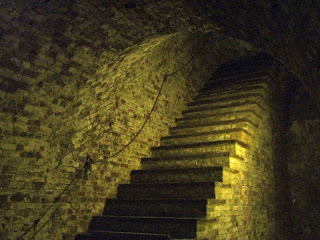 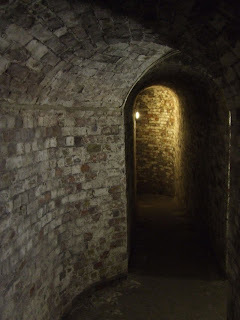 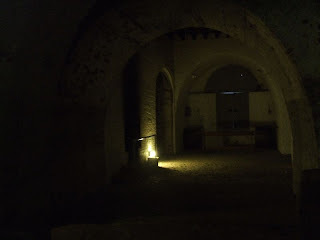 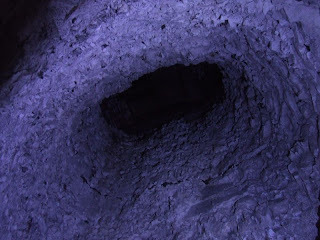 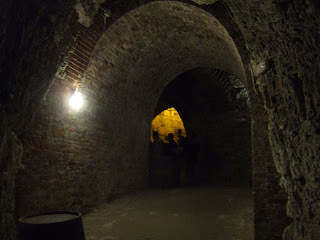 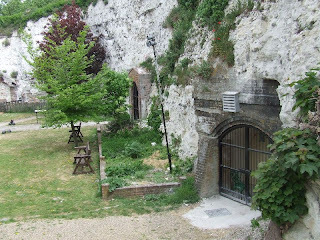 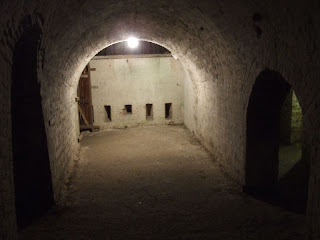 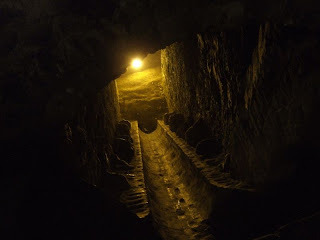 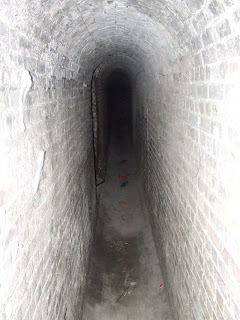 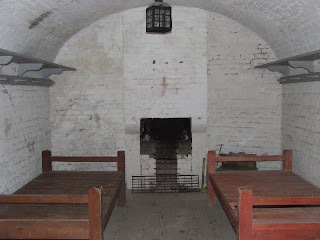 The tunnels at Fort Amherst were cut into the chalk cliff face in the centre of the Fort and formed ammunition stores, as well as providing embrasures for gun fire into the ditch and barrack accommodation. 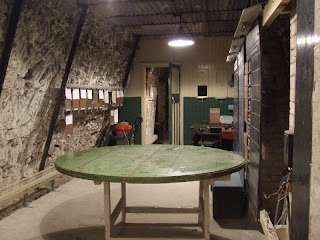 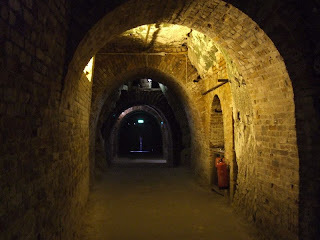 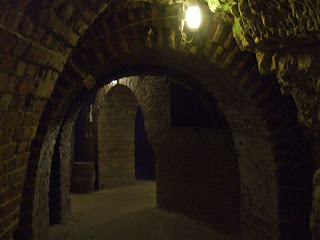 During WW2, the tunnels were also used for a Civil Defence HQ. 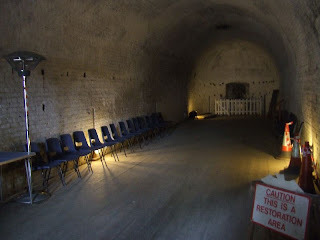 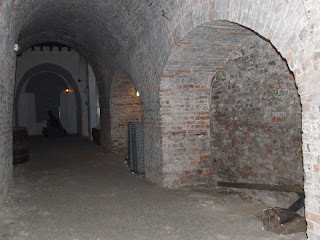 Half of Fort Amherst has now been restored and is open to the public regularly, the other half, including Prince William's Barracks, The Caponnier and the Sunken Courtyard is unrestored, but sometimes opened for private tours. 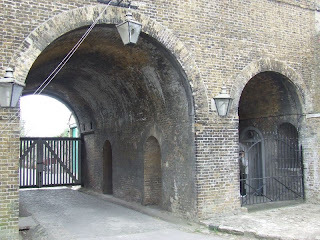 A large section of the adjoining Lines is currently being converted into a Heritage Park and will be open in the near future.